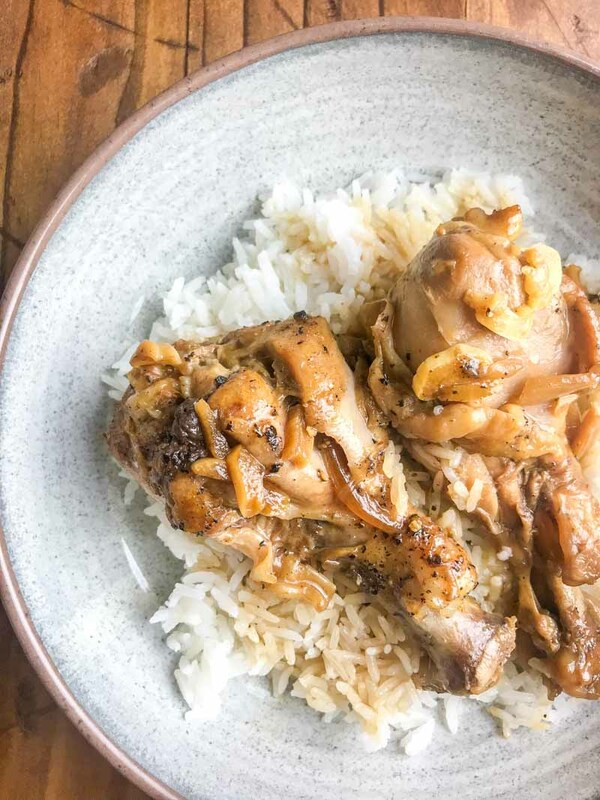 Instant Pot Chicken Adobo is a savory chicken dish with soy sauce, vinegar, peppercorn, garlic and bay leaves. 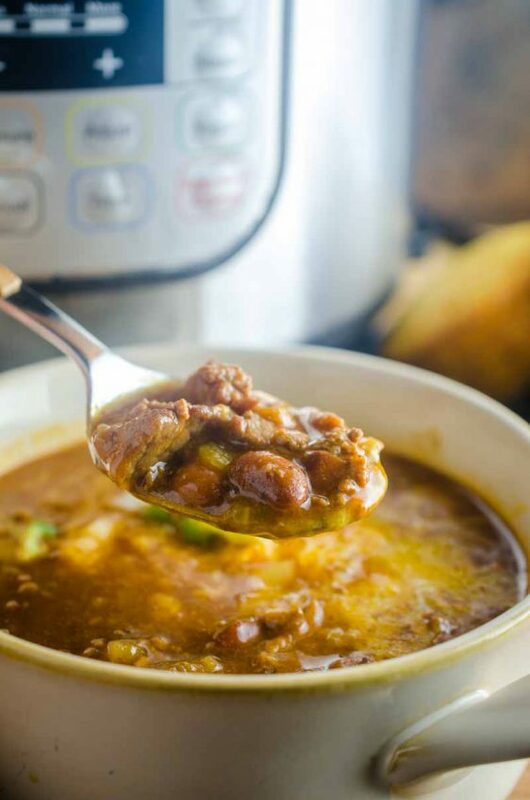 A classic Filipino dish made easy in the Instant Pot. I have been loving my Instant Pot lately. I’ve made Instant Pot Macaroni and Cheese, artichokes and herb potatoes. And not to mention all the hard boiled eggs. And I thought it was high time I try some filipino instant pot dishes. 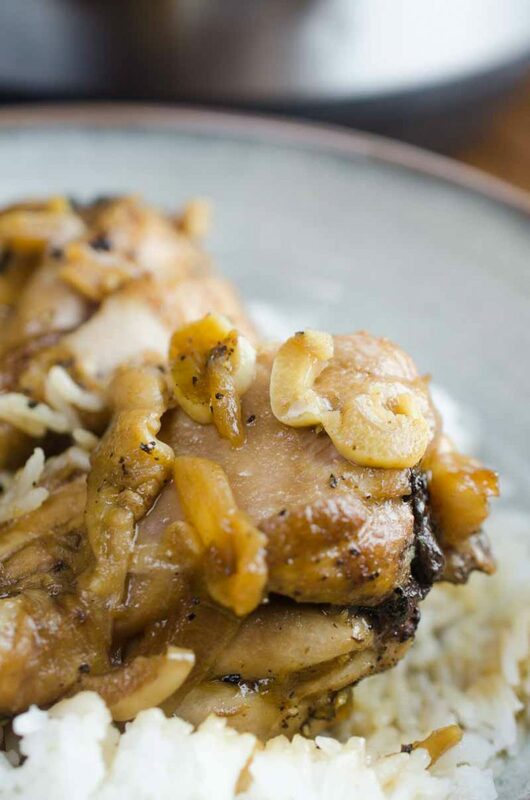 Thanks to my Filipino heritage, chicken adobo has always been a staple around these parts. If you are unfamiliar with Filipino Chicken Adobo, it is chicken simmered in a savory sauce of soy sauce, vinegar, garlic, pepper and bay leaves. Traditionally, adobo takes at least an hour to make and, don’t get me wrong, it’s totally worth every minute. 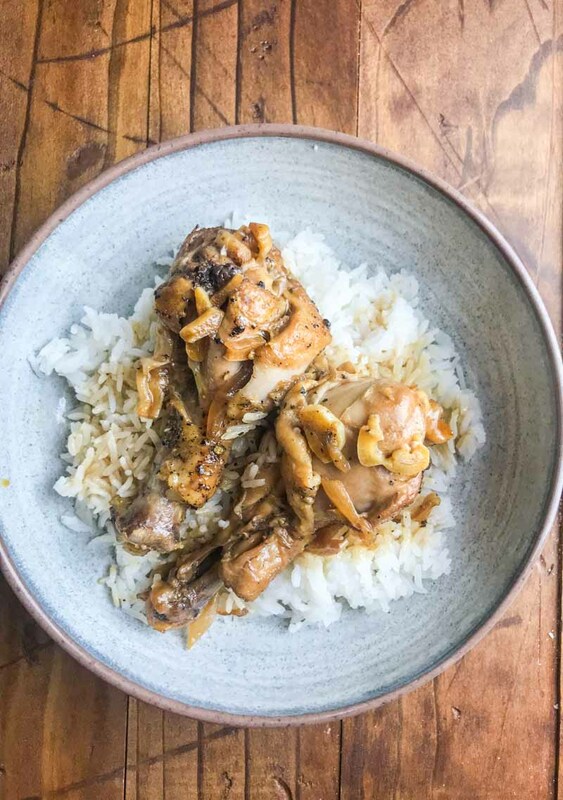 But for those nights when you have a little less time Instant Pot Chicken Adobo can be done faster and is every bit as delicious. And can we just talk about all the garlic for a second. Because seriously, it is my favorite part. Because garlic. 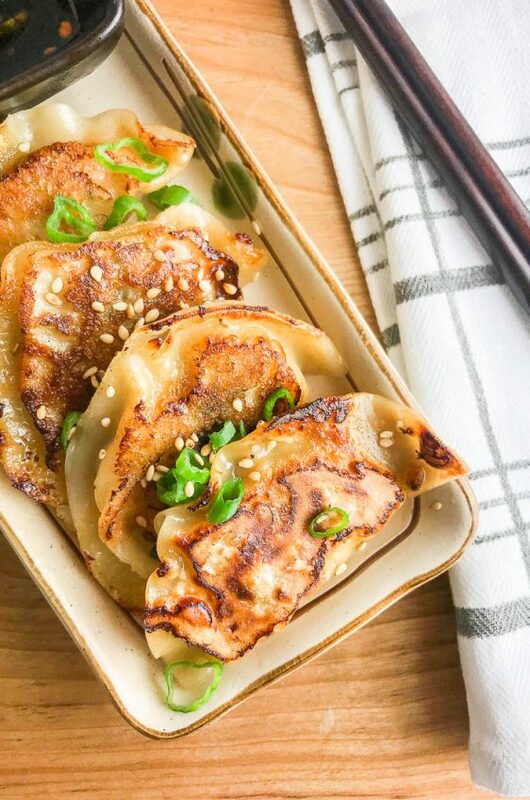 Despite trying many different dishes in the Instant Pot, I have been a little hesitant to try chicken. I was hesitant because, to be totally honest, I am not a huge fan of chicken in the slow cooker. It always seems to be a bit dry. I thought the instant pot would produce the same results. But guys, it does not. Not at all. 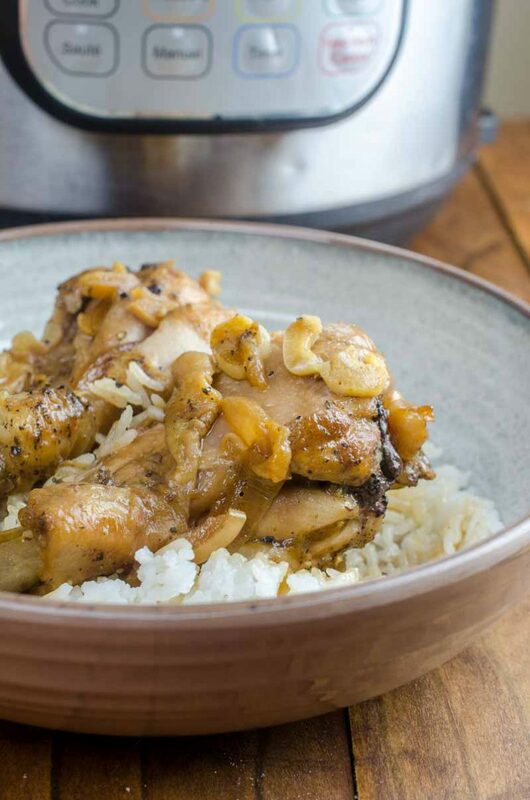 The chicken in this Instant Pot Chicken adobo is super succulent. One of the reasons that the chicken stays so succulent is that I chose to use chicken drumsticks in this recipe. 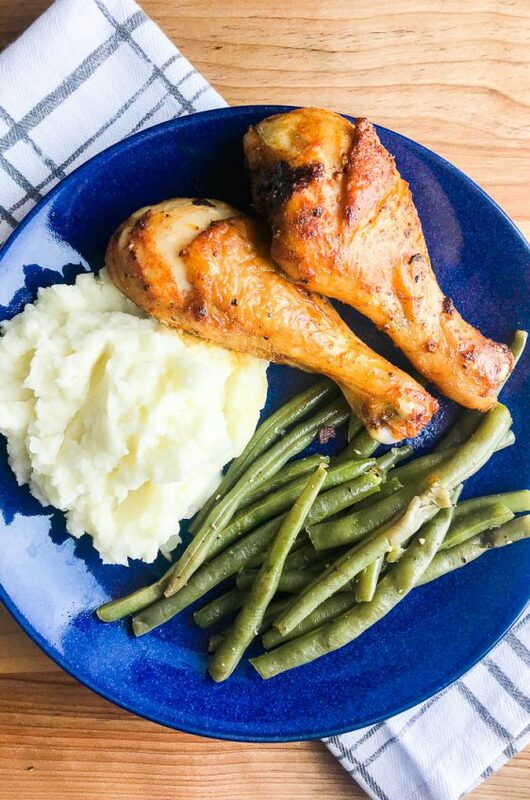 I chose to use chicken drumsticks instead of chicken breasts because they are often more tender and do not dry out as quickly. A mix of chicken drumsticks and chicken thighs would be a great combination as well. 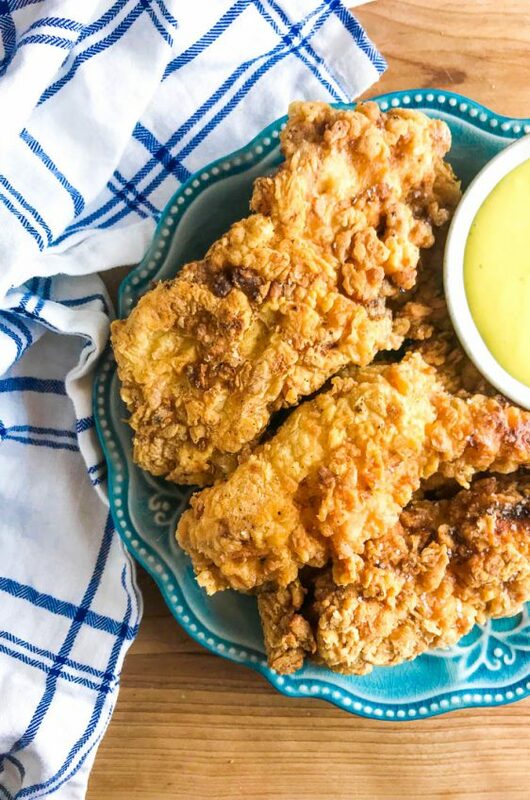 Just make sure you use bone-in chicken thighs. If you are wondering what to serve with chicken adobo, I always serve chicken adobo over jasmine rice with some roasted vegetables on the side. Want to try other filipino adobo variations? Slow cooker pork adobo is a favorite too! Season chicken drumsticks liberally with salt and pepper. With the saute feature on, heat oil and cook chicken pieces, in batches if necessary, until browned on all sides. If you cooked the chicken in batches, return all chicken to the pot. Add in remaining ingredients. Put lid on the pot and seal. Cook on high pressure for 9 minutes. Do a manual release. With the lid off, simmer for 10 - 15 minutes or until sauce thickens slightly. Remove bay leaves. 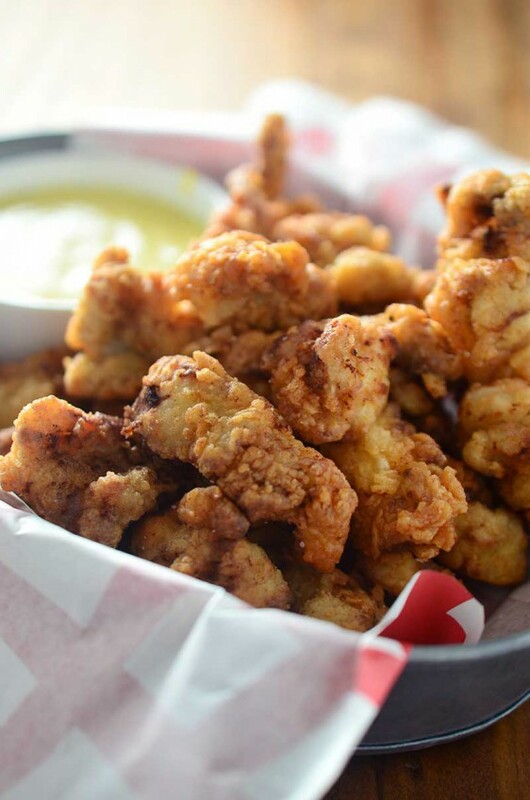 Transfer chicken to a serving platter and top with sauce. Serve with rice. This looks really tasty! 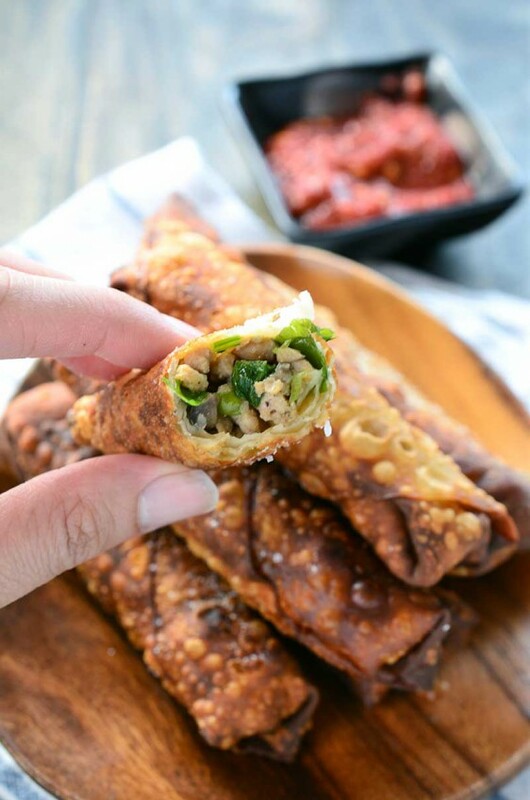 A great addition to our dinner rotation! This looks so inviting….I want to sit down at your table and enjoy it with you! The flavors sound amazing! I love garlic!! This really couldn’t get any easier! Love it! This is a wonderful dinner! I love everything about this! Cannot wait to try it! That looks so yummy and flavorful!